Delivery became an emergency when he stopped moving in the womb. However, all the staff were warm and reassuring that they had the situation under control. He was welcomed with so much love by family and friends across the country. He spent a week in the Nicu for monitoring and the day we brought him home, I felt so much relief and happiness that my family was whole and we could finally get on with being a family. The best way to describe it is like taking a cross-country train ride; he has and will get to where he wants to go but he gets to take his time and enjoy the ride and the scenery. The love! Hands down. I knew I’d love my son just because he was mine, but I didn’t know a love this fierce before Weston and he doesn’t just love me that fierce, but everyone. Weston’s biggest challenge has been drinking thin liquids and respiratory illnesses. He has a floppy airway which has complicated both. However, at 2 years old, Weston is off all medications and drinking and eating like a typical toddler. My mom has worked with people with intellectual and developmental disabilities since I was a small child and after I received Weston’s diagnosis I called her and said, “Mom, Weston has Down syndrome.” Her response was instant, “Ok! So what?” Proceeded with, “Erin, it’s all going to be fine. He’s going to be perfect just the way he is. He’s going to be great.” So, I’d probably tell myself to just listen to and lean on my mom. First and foremost, congratulations! We are celebrating life and that’s beautiful. Second, Your child is exactly who they are supposed to be and you will love them, teach them, cry with them and laugh with them just like you would any other child. GOD, THE GIVER OF LIFE MAKES NO MISTAKES. 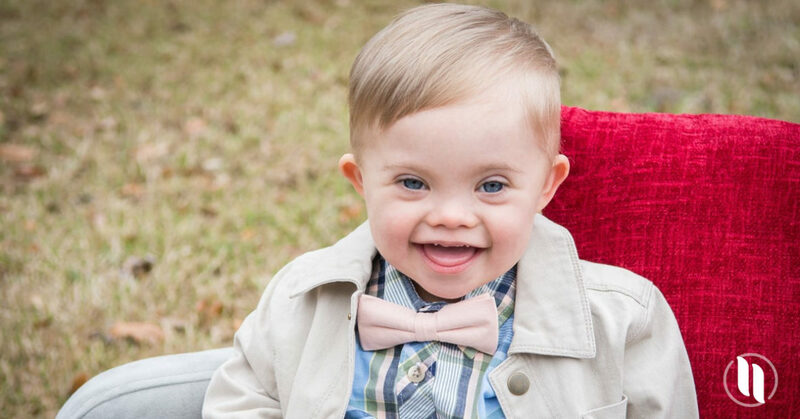 LOVE IS THE KEY, AND THE MAIN THING THAT I KNOW ABOUT PEOPLE WITH DOWN SYNDROME IS HOW LOVING THEY ARE, AND THAT’S A BLESSING, SINCE LOVE IS THE KEY. MAY GOD KEEP AND CONTINUE TO BLESS YOU ALL. Ps We All Have Some Type Of Difference, And That’s Part Of What Makes Things Great.